This event is a celebration of outstanding supplier diversity leadership and advocacy achievements by corporate/public agency members, MBEs and individuals. Proceeds from this event benefit the Northwest Mountain MSDC Scholarship Fund. 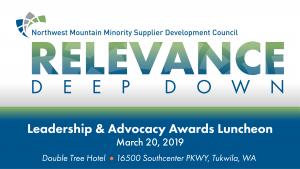 Leadership Awards are presented to certified minority business enterprises and corporate/public agency members that excelled in their commitment to leadership excellence in business performance, inclusive performance, and minority business development. Advocacy Awards are presented to individuals who have demonstrated an unselfish commitment to the development of MBEs. 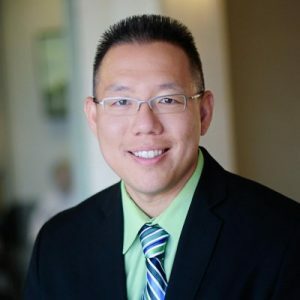 Roger Cheng, Director, Business Development / Diversity Relations, CB Technologies, Inc.
Roger Cheng, Director of Business Development and Diversity Relations for CB Technologies, Inc., is responsible for generation of new business nationally leveraging Supplier Diversity as the key strategy. Roger, also known as “the Voice” has served as emcee or VOG for a number of organizations, including NMSDC and its Regional Councils, Fortune 500 companies such as Toyota and Honda, and multiple cultural Chambers of Commerce. In true servant leadership fashion, Roger serves on boards in his community. And, in 2017, Roger was recognized as the #Hes4Shes champion at the WBENC National Conference.